The increasing popularity of smart phones is providing new opportunities for identity thieves and others to steal your information — and possibly even put your finances in peril. Your smart phone likely contains personal information, and you might have banking apps that you don’t want unscrupulous persons to access. Even as you enjoy the convenience of a smart phone, make sure that you carefully consider what you can do to protect yourself. Here are some things you can do to help keep your information as safe as possible on your smart phone. One of the first things you need to do is to set a password on your phone. You want to create a password that is unique to your phone, and difficult for others to guess. Don’t base your password on information that someone could find by visiting your social media profile, and don’t base it on known personal information. On top of that, set passwords for your apps. Your mobile banking and other financial apps should not have the passwords saved on the phone. Otherwise, a thief could get into your accounts. You should also ensure that your phone is on an automatic lock so that it is harder for someone to get into your smart phone. When you connect to a wi-fi network, be careful. Make sure that the network is secure before you connect your phone — and certainly before you use your phone to complete any personal or financial transactions. Don’t connect your smart phone to wi-fi networks without the requirement of a password, and make sure that you are satisfied with the security of the network. Not only do you need to be concerned about public wi-fi networks, but you should also consider the vulnerability of Bluetooth. With the right know-how, an identity thief can sync a Bluetooth device with yours, and hack into your phone and take personal information. Unless you are actually using your Bluetooth, turn it off so that it is not as vulnerable to outside attack. Many smart phones come with the means to remotely shut down the phone. You should be able to lock your phone from a distance — or completely wipe out the contents. This can provide you with a way to protect your phone and your information in the event that your phone is lost or stolen. It is also possible to protect to your phone by using an app that will erase data if someone enters the wrong password too many times. You should also be able to get a service that tracks your phone. A GPS device on your phone can help you locate it if it is lost or stolen, and aid in recovery of the phone. If you want to be able to increase your ability to find your phone, a tracker can be a great help. Double check everything you wish to download to your phone. Before downloading an app, make sure that it comes from a reputable source. 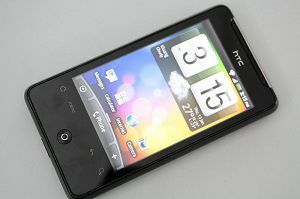 There are a number of scammers introducing malware to phones these days, and you don’t want your phone to be targeted. Do your research, and make sure that you know the origin of anything you download, and ensure that it is from a legitimate source. Smart phones are computers in miniature. We increasingly use them to answer emails, engage in social media interactions, shop online, and perform all sorts of sensitive financial transactions. While this increases the convenience associated with cell phones, it also leaves you open to attack from identity thieves and hackers. You could find your financial information stolen and used by someone else, or thieves could access your accounts by stealing your cell phone. As more of your life is accessible through your smart phone, it is increasingly important that you protect yourself. Lock down your phone, and take steps to protect it as much as possible.